The universal Church has Christ as its head, and the Holy Spirit as its guide. All the faithful in Heaven, in Purgatory, and on earth are members of the universal Church. Even baptized non-Catholic Christians, and any non-Christians who may be in a state of grace (due to a baptism of desire), are members of the Church. It is an error to think of the Church as only those persons in the Church, the Pope and the Bishops, who are able to exercise the authority of the Church. And it is an error to think of the role of spreading the Gospel as belonging only to ordained Bishops, priests and deacons, and to religious men and women. The Church has two types of authority: the teaching authority and the temporal authority. These are the two swords of Peter. The Lord tells us that these two types of authority are sufficient, indicating that the authority of the Church is limited, and that the authority given to the Church within those limits is sufficient to guide the faithful to eternal salvation. The successors of Peter and of the other Apostles do not need, nor have they been given, absolute power over the laity. Both the teaching authority and the temporal authority have limits. Infallible teachings have no possibility of error. But these teachings are not merely error free. Anyone could write a sentence that was free from all error (e.g. Two plus two equals four. The sky is blue. Human beings are a kind of mammal.) The infallible teachings of the Magisterium are full of the wisdom of God, on matters of faith and morals, and are given to us for our salvation. The faithful are required to give the full assent of faith to these teachings both because their freedom from error is guaranteed by the Holy Spirit, and because the teachings are full of the truths needed for salvation. When the Magisterium teaches infallibly, this may fittingly be termed the Sacred Magisterium; and the assent required may be termed sacred assent. All other teachings of the Magisterium, whether of a Pope, or of an Ecumenical Council, or of individual Bishops or groups of Bishops, are non-infallible and non-irreformable, and so are subject to a limited possibility of error, but never to such an extent as to lead the faithful away from salvation. When the Magisterium teaches non-infallibly, this may fittingly be termed the Ordinary Magisterium. These ordinary teachings, even when some errors are present, are unable to lead us away from salvation. And the body of non-infallible teachings, as a whole, is necessary for salvation. For if we were to attempt to live the Catholic Faith solely by infallible teachings, we would not be able to understand the teachings as a unified whole, nor would the individual Bishops (who cannot teach infallibly on their own) be able to offer us as much guidance. The faithful need both the infallible and non-infallible teachings. And so the faithful are also required to give assent to non-infallible teachings. But this assent is a different type and degree from sacred assent. The assent required is often referred to as the religious submission of will and intellect. But it may also be fittingly called ordinary assent. Since some errors are possible, to a limited extent, in non-infallible teachings, the faithful may dissent without sin from some portions of some non-infallible teachings, to the same limited extent. This faithful dissent is necessary because God is Truth. If a person puts blind obedience to the Magisterium above Truth, then he commits idolatry, because he has placed the Magisterium exercised by men above God who is Truth. Faithful dissent from infallible teachings is not possible because such teachings are guaranteed to be without error by the Holy Spirit. And so an unswerving faithfulness to those teachings is not idolatry. Neither did Christ teach us to be blindly obedient, not even to the Father, or to the Son, or to the Holy Spirit. For Christ did not merely die for our salvation. He first spent the entire time of His Ministry (perhaps as long as three and one-half years) teaching everyone. Neither did Christ teach only His Apostles, or only His closest disciples. Jesus Christ taught EVERYONE. He taught Pharisees (though few listened to Him), Roman soldiers, non-Jews, even tax collectors and prostitutes. If blind obedience is the foundation of the Catholic Christian Faith, then Christ would not have taught everyone, so that they would all understand. If blind obedience to the Magisterium is the path to eternal life, why have both Pope Benedict XVI and Pope John Paul II written books, while they were each Pope, as private theologians and not as an act of the Magisterium? 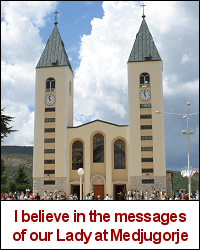 If blind obedience to the Magisterium is required, why do priests give sermons? Or who has ever heard any priest give a sermon encouraging blind obedience? Blind obedience to the teachings of the Magisterium is idolatry. The Pope and the Bishops do not teach or encourage blind obedience. Even when a Pope teaches infallibly, he always explains his infallible teaching, usually with a long theological explanation based on the truths found in Sacred Tradition and Sacred Scripture, and past magisterial teachings. Such explanations are not required for a teaching to be infallible. But, following the example of Christ, each Pope, and the Bishops who remain in communion with him and with one another, teach in such a manner that all the faithful may both believe and understand. And when the mysteries being taught are beyond complete comprehension by the human mind, not only in this life, but also in Heaven, even then the Magisterium teaches us in such a way that the mysteries are able to be apprehended — understood in part, each according to his ability. If anyone says that the faithful must be blindly obedient to the Magisterium, a curse on that person. Again I say a curse. Such blind obedience is essentially nothing else by a complete rejection of truth and of God who is Eternal unchanging Truth. So it is that the faithful and well-taught disciple of Christ, in learning from Sacred Tradition and Sacred Scripture and the living Magisterium, and in placing the search for eternal unchanging Truth above obedience, must occasionally dissent from some points within the body of non-infallible teachings under the Ordinary Magisterium. This faithful dissent is not an option, but a requirement, whenever a member of the faithful, in considering and assenting to all infallible teachings, and the body of non-infallible teachings, understands some point or another that is incompatible with the teachings of Sacred Tradition, Sacred Scripture, and the other teachings of the Magisterium. For if he were to ignore this incongruence, he would be turning aside, sinfully, from Truth. Neither is it only the theologian who will stumble across such an error. For the truths of the Faith are best understood by being lived, and by being meditated upon in prayer. The Holy Spirit dwells no less with the uneducated faithful as with the educated faithful. So it is not surprising when a less well educated member of the faithful understands one doctrine or another in greater depth, and with greater clarity, than the majority of theologians. 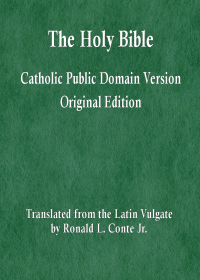 But regardless of which member of the faithful, through providence and grace, arrives at an understanding that some portion of a non-infallible teaching is in error, he or she is obligated to seek the truth and to dissent from any such point that is incompatible with the truths of Sacred Tradition, Sacred Scripture, and the Sacred Magisterium. Such dissent must be humble, so that the faithful layperson, whether a theologian or not, is always ready to correct his understanding, again and again, so as to arrive at an ever better understanding of the truths of the living Word of God. But such dissent is required by God who is Truth, and who gave to the Magisterium a limited ability to teach infallibly, along with an ability to teach non-infallibly. Gallery | This entry was posted in ethics, Magisterium. Bookmark the permalink.